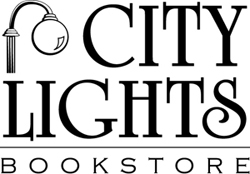 Historian Steve Miller will visit City Lights Bookstore on Saturday, March 30th at 3 p.m. He will present his book, North Carolina Unionists and the Fight Over Secession. His book tells the story of the Tar Heel Unionists who bravely fought to steer their state away from the disastrous future they foresaw. Steve M. Miller is a native North Carolinian, having been born and raised in Asheboro, where he and his wife, Becky, currently live. His past writings included Slave Escapes and The Underground Railroad in North Carolina, published in 2016 by The History Press. Steve is currently an adjunct history instructor for Forsyth Technical Community College in Winston-Salem and Randolph Community College in Asheboro.